The U.S. Marines are best known for tactical strategies on the battlefield. Locally, they are waging a battle on behalf of impoverished children at Christmas. 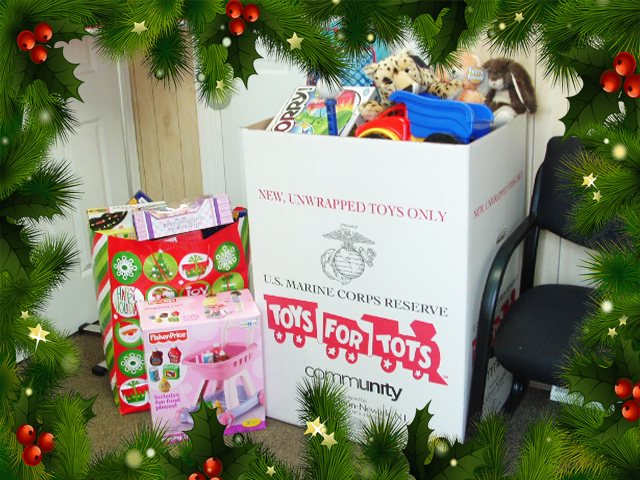 Our agency is happy to serve as a drop-off site in the USMC Toys For Tots campaign. Please donate a new, unwrapped toy. The Marines will pick up our box the week of December 12th. Thank you!